Melissa Mitchell is a Licensed Real Estate Salesperson building a successful career founded on over twenty years of customer service experience and the highest standards of ethics. From growing up in the Adirondacks, living in Menands for 14 years and making lifelong connections, to being a new Latham resident, Melissa’s knowledge of the Capital Region spans far and wide! As a full-time agent, Melissa has placed her guiding principles at the forefront of her services. By operating her business with honesty, integrity, and commitment, she’s built a strong career connecting buyers with their dream homes and helping sellers reach the next chapter in their lives. Those who work with Melissa know that her passion for real estate is infectious! Clients often describe her as “honest, hardworking, knowledgeable, kind, and patient” with strong listening skills and a true desire to do what is right. Melissa’s past customer service experience working at the Lake Placid Lodge and The Point: Relais & Châteaux has helped her build tremendous customer service, communication, problem-solving skills. 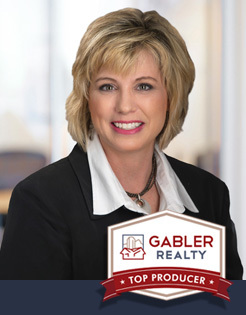 After starting her real estate career with another well-respected local brokerage, Melissa decided to move her business to Gabler Realty in June 2018. If you’re thinking about making your next real estate move, contact Melissa today to learn more about how she can work for you, and with you to achieve your real estate goals.